It was a fun morning at Radio Mirchi office as Sonakhi Sinha and stand-up comedian Kanan Gill came down to promote their latest movie, Noor on a live Radio Mirchi Show today, March 23, 2017. This movie will mark Kanan Gill’s Bollywood debut. 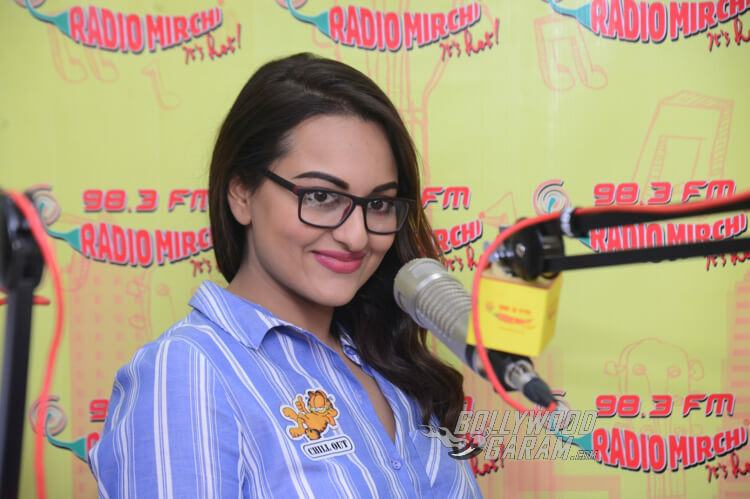 Based on a novel by Pakistani writer Saba Imtiaz, titled, Karachi, You’re Killing Me!, the Sonakshi Sinha starrer revolves around a comical journalist from Mumbai who is dealing with common issues, faced by any woman staying in a cosmopolitan city. However, things take a serious turn for her when she is faced by event threatening her credibility as a journalist and ultimately her career. 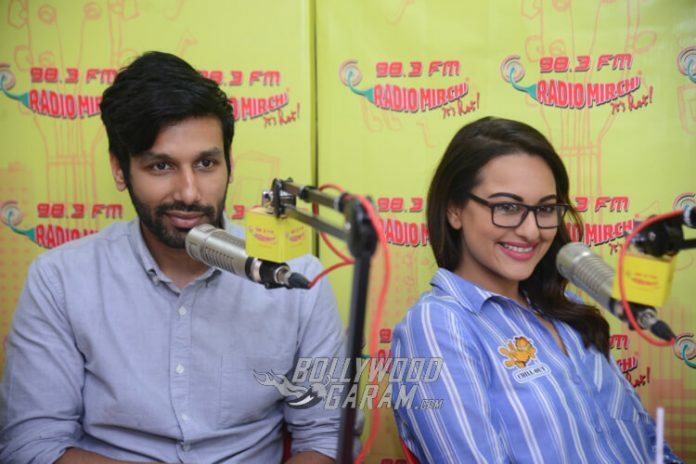 While Sonakshi Sinha plays the lead role in the movie, Kanan Gill, Shibani Dandekar, Manish Chaudhary and Smita Tambe will be seen in supporting roles. Directed by Sunhil Sippy and produced by Bhushan Kumar and Vikram Malhotra, Noor is expected to receive good reviews as it’s official movie trailer has been well received by the audience. Recently, Sonakshi Sinha was snapped having the time of her life, shooting for Move Your Lakk with rapper Badhshah and Punjabi sensation Diljit Dosanjh. The much awaited party song of the year is a part of Noor and is expected to launch soon. Meanwhile, Sonakshi launched a revamped version of Gulabi Aankhein, Gulabi Aakhein 2.0, from her latest film! Watch the official music video right here. 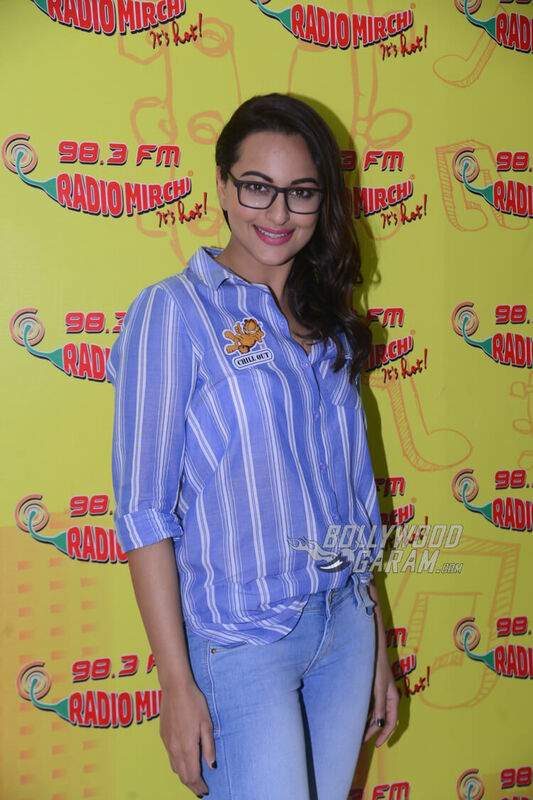 Moving on Sonakshi’s looks – We are completely in love with her blue and white striped Garfield Cat shirt! Paired with washed out blue jeans and framed glasses, the actress looked effortlessly chic. You can get your Garfield cat shirt at any ONLY store. We are in love with that Garfield T-shirt! Sonakshi Sinha giggles as she is snapped! Noor – Mumbai You’re Killing Me! releases on April 21, 2017. Stay tuned for more updates on your favorite movies and stars exclusively on Bollywood Garam.